Southwest juniors posted some strong results over the fourth of July "National Open" week and the following week during USTA Regional Tournament. Both events garner points for juniors at a higher level than Southwest tournaments and typically feature some of the best-ranked players from across the nation at many of the events. USTA National Opens were held July 2-4 and USTA Regional Tournament Series events were held July 7-10 at various locations across the country. 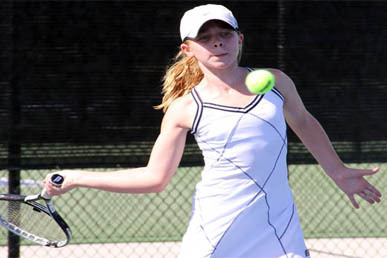 The top performance at those events was put in by Scottsdale's Josie Frazier, who captured the Girls 12s USTA National Open singles title at the Koch Tennis Center in Omaha, Neb. Frazier (pictured - above), was the event's top seed, breezed through her five singles matches without the loss of a set, including a 6-3, 6-4 semifinal win over fourth-seeded Elizabeth Isayev, also of Scottsdale. The two had met about a month prior in the same division in the finals of the Southwest Junior Closed, with Isayev winning that time. In Lakewood, California at the USTA National Open Boys' 16s, Robert Seby (Oro Valley, Ariz.) reached the semifinals of the singles draw and ended up with a fourth-place finished. Seby, the third seed won three matches, before falling to eventual champion Kial Kaiser (Saratoga, Calif. ), 3-6, 6-1, 6-4. Also, in Lakewood, Phoenix's Savannah Slaysman reached the semifinals of the USTA National Open Girls 16s doubles with partner Ena Shibahara of Rancho Palos Verdes, Calif., and Scottsdale's Stephanie Vlad made the quarterfinals of the USTA National Open Girls' 18s singles. 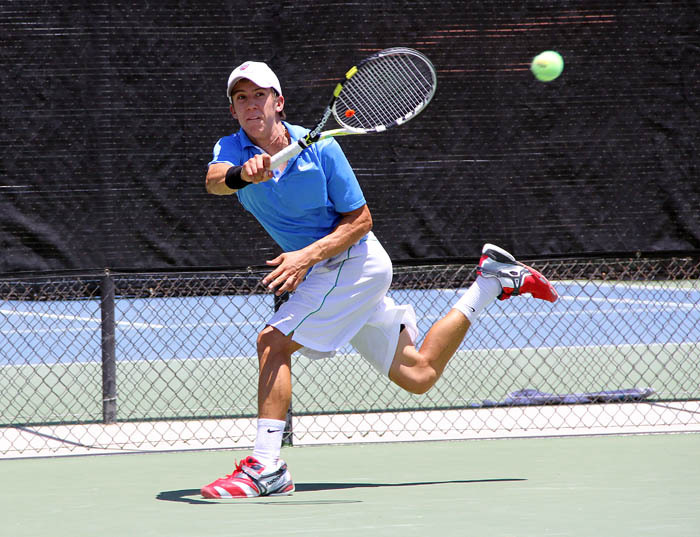 In a Boys 14s National Open event in Long Beach, Calif. at the El Dorado Park Tennis Center, Nathan Niemiec (Paradise Valley, Ariz.) reached the singles quarterfinals before falling to eventual champion and top seed Connor Hance (Torrance, Calif.) , 6-2, 6-0. Tucson's Yash Parikh also made the singles quarterfinals and paired with Michael Lee (Tucson) to reach the boys doubles quarterfinals. In Deer Park, Texas in the USTA National Open Girls 12s, the sister pair of Carmen and Ivana Corley (Sandia Park, N.M.) reached the doubles semifinals and ended up with a third place finish. Gabrielle Otero (Albuquerque, N.M.) reached the singles finals of the Girls 18s USTA Regional Tournament held in her hometown at the Lobo Tennis Club, but had to pull out in the finals due to injury. Susan Baklini (Albuquerque) made the quarterfinals in singles and also in doubles with Susanna Kuuttila (Albuquerque). In the Boys 18s event at the USTA Regional in Albuquerque, Christopher Krimbill (Scottsdale) and Bryan Cunningham (Anthony, N.M.) made the finals in doubles. Cunningham (pictured - right), Krimbill and Augustus Ge (Phoenix) also made the quarterfinals in singles. At the USTA Regional Tournament Girls 16s in Fort Myers, Fla. - Delaney Nothaft (Tempe, Ariz.) took third place in doubles with partner Abigail Chiu (Austin, Texas). At the Boys 16s also in Fort Myers, Tucson's Gregory Anderson also finished third in singles and reached the quarterfinals in doubles.